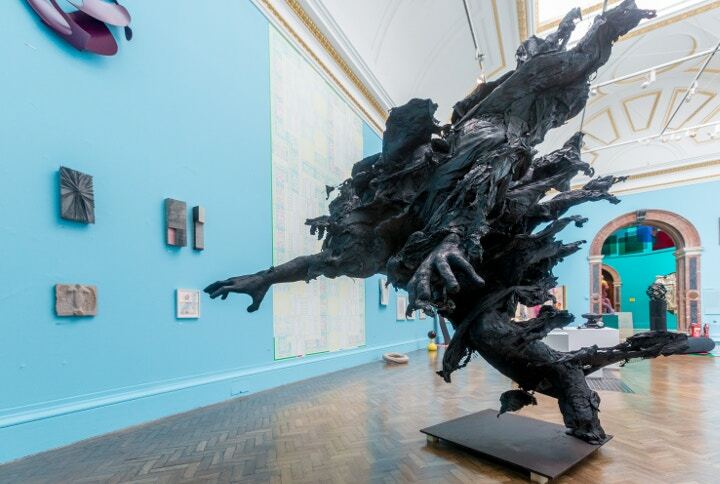 246 years after its initial launch, The RA’s Summer Exhibition is about to reveal its most colourful year yet. 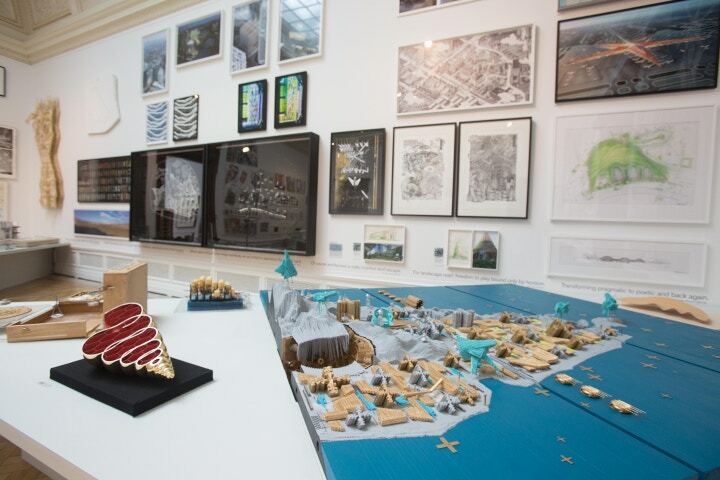 The world’s largest open submission exhibition, the galleries at Burlington House are filled every year with a huge collection of artwork in all media – painting, printmaking, photography, sculpture, architecture and film. 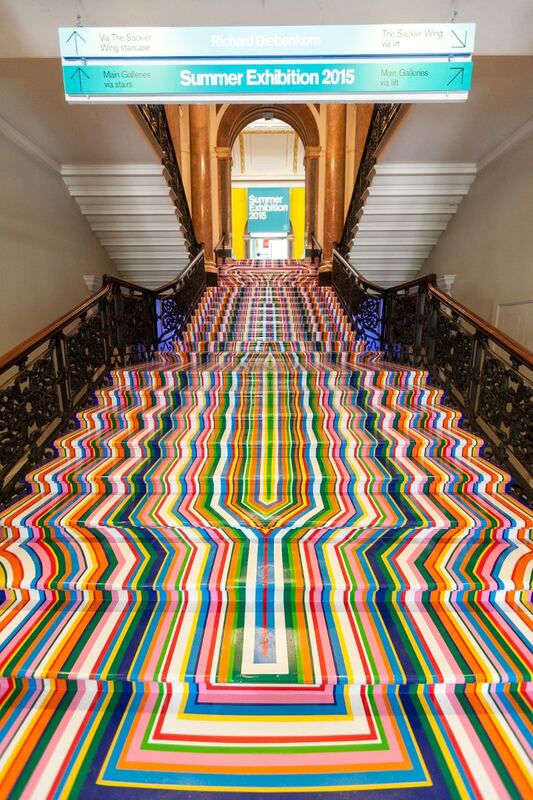 For the first time this year you can view all the works online, but it’s really worth going to see the exhibition itself, especially as you’ll be greeted by a dazzling vinyl installation on the stairs, by none other than artist Jim Lambie. 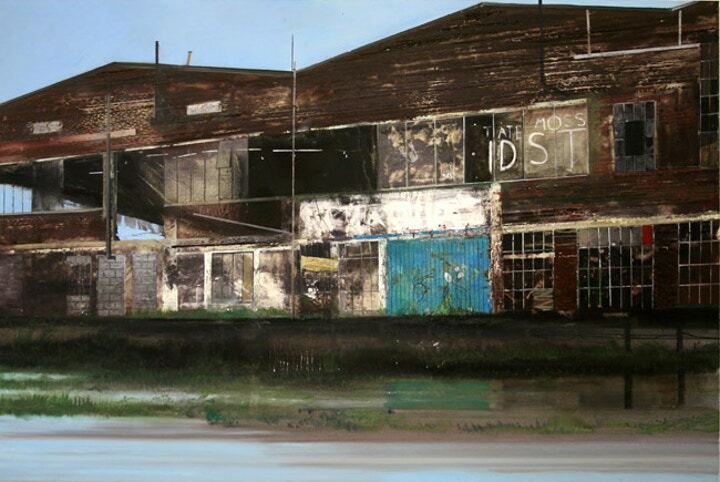 Cass Art has organised a ticket offer too, so you can see the Summer Exhibition for even less this year. Image Credit © Benedict Johnson, Royal Academy of Arts. The Summer Exhibition provides a unique platform for both emerging and established artists to showcase their work to an international audience, and was co-ordinated this year by Michael Craig-Martin, an artist mesmerised by colour. Highlights include a contemporary figure yet classical object by Matthew Darbyshire, and an installation of coloured Perspex hanging from the ceiling by Liam Gillick. The longevity and vastness of this exhibition is a remarkable achievement year after year. We asked this year’s curator of Gallery II, painter Jock McFadyen, about what goes on behind the scenes, and what you can expect from the 2015 show. 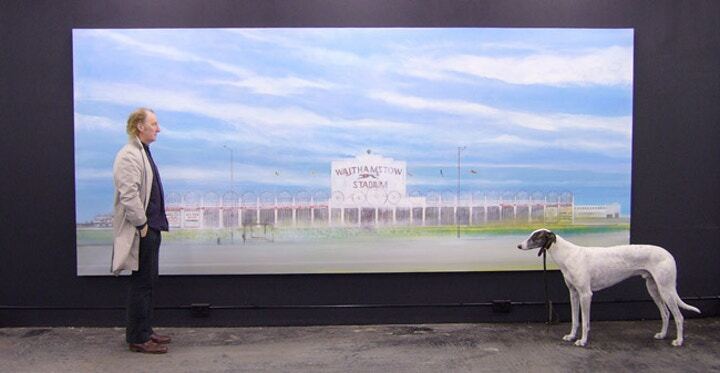 It's not a landscape room really, more a portrait of Britain today as seen by artists up and down the country. The only challenge is to make the pictures and sculpture work together and identify various thematic and formal threads. Photography: John Bodkin, DawkinsColour. © Royal Academy of Arts. Do you have a favourite piece in the show or is it too difficult to choose? I love all the works in my room and wouldn't have hung them if they didn't rock my boat. Can you tell us bit about your own paintings? Your subjects are so varied, from urban landscapes to distorted portraits, but can you tell us about any recurring themes? What paints do you use and why? All different brands I don't care really. I'm not fussy at all about paint but I always use oil. I have no emotional connection with water based paint. Do you think landscape painting still has as much of a presence in the art world as it used to? Exactly the same... there are only three things; landscape, portrait and still life. All depictive pictures including films and telly are either exclusively one or a combination of the other two or three at any given time. A newscaster might be portrait but there will be a still life element (a piece of paper, a glass of water) and a backdrop which is often a landscape (of a war zone etc) so it is far more difficult to imagine a world without the constant depiction of the earth. How to get rid of landscape would be the real challenge. And finally, why do you paint? Cass Art has also partnered with the Royal Academy to bring you £2 off entry to the Summer Exhibition - purchase anything online or in-store at Cass Art to receive our offers leaflet with the discount voucher. Find our more and view all of our other great art offers here. The Summer Exhibition is open from 8th June to 16th August. 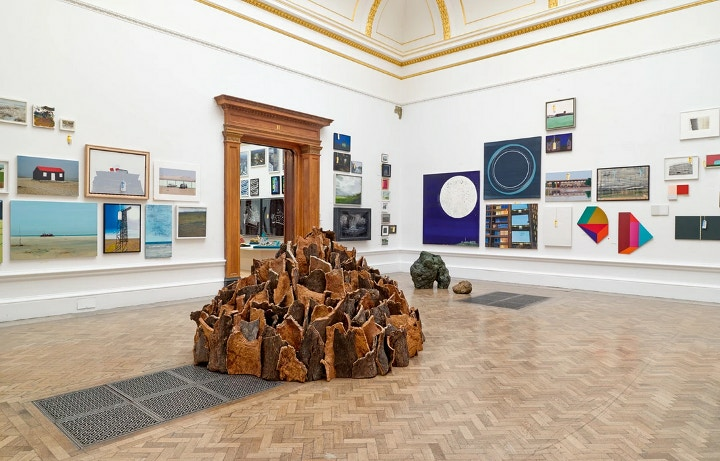 You can read more about the Summer Exhibition on the Royal Academy website. Summer Exhibition is proudly sponsored by Insight Investment.